When we hire a land surveyor, we pay them good money for their services. This is why it’s very important that we only hire the best. We need to look for someone who will give us the best service. After all, we don’t want to pay good money in exchange for lousy service. When it comes to hiring a land surveyor, there are a few things that we need to keep in mind. In order to look for the best, you need to have a group to choose from. 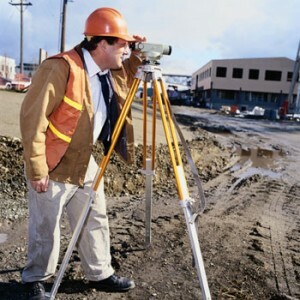 Start by looking for land surveying companies in your area. Check the internet, do a Google search, look for someone with a good website that provides you information about the type of surveying services you are looking for. Make a list together with their phone number, email address and other contact information. Then, pick up the phone and talk to the land surveyor – do an interview. The next step is to make sure that the person you’re contacting is a licensed land surveyor. They should be able to show you a copy of their license or you could also check with the State Board of Licensure to determine they are licensed and to see if there are any complaints against the company or the person you’re planning to hire. It’s also very important to make sure that you get someone whom you’ll be comfortable working with. To find out, meet or call the land surveyor you’re considering. Ask him/her questions, and see how he answers you. This allows you to check a few things including how knowledgeable he is, how comfortable he is working with you (and vice- versa) and if he is the right person to do the job. Before signing a contract with anybody, make sure that you thoroughly read it and that you understand it. Hiring a land surveyor shouldn’t be a problem. Just make sure to hire someone who will do the most precise and professional work. This will get you the best value for your money. Read everything, including the fine print. Also make sure that there are no hidden charges and that you get all the services that you paid for. Remember that you’ll be legally bound when you sign a contract, so make sure that you completely understand it to prevent problems in the future. For help on finding a licensed land surveyor, call us today at (256) 733-1733 or send us a message by clicking here.